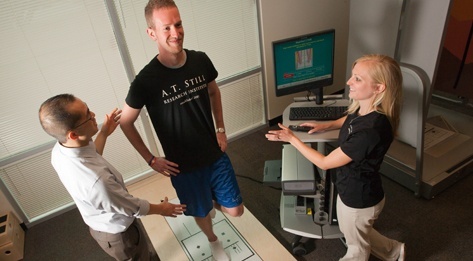 The 12-month post-professional Neurologic Physical Therapy Residency program at A.T. Still University (ATSU) is designed to elevate the clinical skills and knowledge from a general practitioner to that of a clinical specialist in neurologic physical therapy. Operating as a collaborative model, the Neurologic Physical Therapy Residency program is built from a strong clinical reasoning base. Residents will gain advanced critical thinking skills and become expert clinicians who practice evidence-based whole-person healthcare. Residents in the Neurologic Physical Therapy Residency program receives nearly 300 hours of didactic instruction and at least 150 hours of clinical mentoring. Supervised clinical mentorship and teaching are key components of the Neurologic Physical Therapy Residency program. Each week includes mentored clinical practice with an expert neurologic physical therapist. Residents may stay at their current site of employment with an approved clinical mentor, or relocate to an approved clinical site. The didactic curriculum includes online coursework, case studies, and weekend continuing education courses. Residents participate in biweekly personal video conversations with ATSU faculty, discussing curriculum topics and applying the curriculum to patient cases. Residents will also gain experience in teaching an online evidence-based practice course to students in ATSU’s Doctor of Physical Therapy program. Program residents will learn from highly trained faculty with expertise in neurological sciences, neurological specialty practice, evidence-based practice, and educational theory. 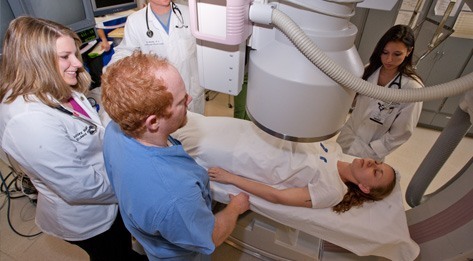 The program’s accomplished faculty serve as educators and as clinical specialists. Residents will enhance their learning with resources including the learning resource center, virtual library with online journals and books, and facilities designed to promote learning. ATSU’s Neurologic Physical Therapy Residency program includes collaboration with various clinical sites for clinical mentoring of the resident. Following completion of the program, residents will be prepared to take the American Board of Physical Therapy Specialties (ABPTS) Neurologic Clinical Specialist certification exam in Neurology and practice patient-centered evidence-based neurologic physical therapy at the competence level of a neurologic clinical specialist (NCS). 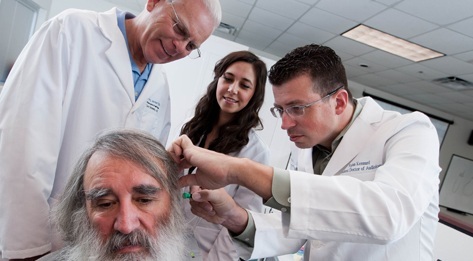 As part of the curriculum, residents and their mentors will attend three to four weekend continuing education courses, sponsored by the Neurologic Physical Therapy Residency on the Mesa, Ariz. campus. Continuing education courses are also open to physical therapists and provide the opportunity to earn continuing education units. Review the continuing education schedule. With ATSU’s Neurologic Physical Therapy Residency program graduates will become leaders who provide the highest standard of care for persons with various neurologic conditions as well as become educators of healthcare providers and the public. Read the University Catalog to learn more about the post-professional Neurologic Physical Therapy Residency program and university. ATSU’s Neurologic Physical Therapy Residency program is accredited by the American Board of Physical Therapy Residency and Fellowship Education as a post-professional residency program for physical therapists. 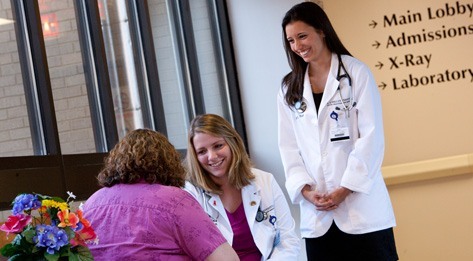 Residents may be able to complete the clinical component of the residency at their current site of employment with an approved clinical mentor, or they may choose to relocate to an approved clinical site. Applicants wishing to stay at their site of employment must obtain approval of the residency program director for both the clinical site and mentor. Clinical sites are required to provide the resident and mentor time for mentoring sessions, and provide the caseload conducive to the neurologic residency. To begin the approval process, the applicant should attain the support of their employer to complete the residency at that site. Applicants should indicate on the ATSU secondary application whether they have a potential clinical site and mentor, or need assistance in finding a clinical site and mentor. By collaborating with ATSU, clinical sites benefit from recruitment and retention of highly qualified physical therapists in the area of neurologic physical therapy. Collaborating sites gain recognition by becoming an organization that engages in a residency program to promote excellent clinical practice. Clinical sites employ the resident, provide the resident and time for mentoring sessions, and provide the caseload conducive to the neurologic residency. 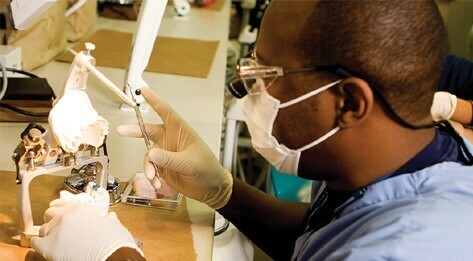 Interested in becoming a clinical site? Contact Cecelia Sartor-Glittenberg, PT, PhD, Neurologic Physical Therapy program director at cglittenberg@atsu.edu or call 480.219.6069 for more information. The opportunity to provide one-to-one mentoring and clinical knowledge to the next generation of physical therapists. Free weekend continuing education courses sponsored by the Neurologic Residency Program. 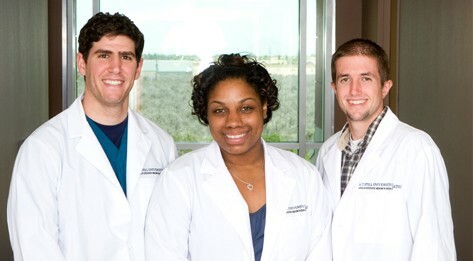 Access to Neurologic Residency Blackboard courses. Access to bi-weekly video conferences emphasizing the latest evidence based research concepts. Access to the ATSU extensive medical library resources including prestigious online peer reviewed journals, search engines in national databases and Rehabilitation Reference Guide. Elevating your clinic through incorporating evidence-based practice and outcome measures. 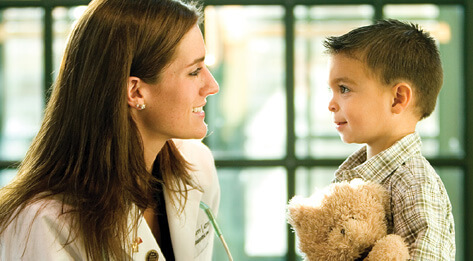 Able to provide one-on-one mentoring of the resident on-site for a minimum of 3 hours per week. Contact Cecelia Sartor-Glittenberg, PT, PhD, Neurologic Physical Therapy program director at cglittenberg@atsu.edu or call 480.219.6069 for more information. Elevating the profession of physical therapy through quality continuing education opportunities. Continuing education courses are sponsored by A.T. Still University’s Physical Therapy Department. Individuals can choose to attend any of the courses listed on the PT Continuing Education site and receive CEU hours at the completion of the course. Nationally recognized physical therapists often present at these courses, as detailed below. Some of the courses are specifically sponsored by our Orthopedic Residency and Neurologic Residency. The Neurologic Physical Therapy Residency program offers physical therapists the opportunity to learn and earn continuing education units (CEUs) through weekend courses. Professionals will gain knowledge from faculty experts who provide attendees with relevant knowledge to maintain currency in the field of physical therapy. Continuing education courses are offered on weekends, allowing working professionals to connect with peers while completing required CEUs. CEU discounts are available to clinical instructors, alumni of ATSU, and to organizations with 3 or more participants. *Free to ATSU neurologic residency mentors. Contact Cecelia Sartor-Glittenberg, PT, PhD, Neurologic Physical Therapy program director at cglittenberg@atsu.edu or call 480.219.6069. Department Chair and Professor Dr. Farris earned his bachelor’s degree in physical education, 1987 and master’s degree in exercise science, 1989 were received from California State University, Fresno; bachelor’s degree in physical therapy, 1999 at Arkansas State University. His doctoral degree was conferred by The Ohio State University, 1995 where his studies focused on exercise physiology and nutrition. He completed the APTA’s Education Leadership Institute Fellowship in 2015 and is an ELI Fellow. Dr. Farris joined the ATSU faculty in 2009 and is now in his 21st year of physical therapy teaching. His current scholarship efforts are aimed at childhood obesity and prevention of the related cardiovascular disease risk factors, submaximal aerobic fitness testing in children, education and admission issues, and the screening/management of DVTs/VTEs. He also has interests in nutrition for optimal health and performance and he has written a chapter on “meal timing” in a sport nutrition book. His home is in the West where outdoor activity and sunshine is abundant. He currently teaches special topics within courses in the DPT program (physiology, pharmacology, research) and teaches the biophysical agents course. Dr. Lynskey is an Associate Professor with Tenure and Director of Research for the Physical Therapy Department in the Arizona School of Health Sciences at A.T. Still University. Jim received a Master of Physical Therapy degree from Duquesne University, and a Ph.D. in Neuroscience from Georgetown University. In addition to his faculty appointment, Dr. Lynskey holds the position of Assistant Research Scientist in the Center for Adaptive Neural Systems at Arizona State University. He has over 22 years of clinical experience with expertise is in the areas of acute and sub-acute neurorehabilitation. His academic and research interests focus on promoting and understanding recovery and neuroplasticity after traumatic injuries in the central nervous system. To date, Dr. Lynskey’s work has resulted in numerous peer-reviewed publications and presentations at national and international conferences. He joined the Physical Therapy Faculty in 2005. Dr. Kuettel is an assistant professor at A.T. Still University in the physical therapy program where she teaches in the neurologic and geriatric curriculums. She is board-certified in both neurology and geriatrics by the American Board of Physical Therapy Specialties and also specializes in vestibular rehab. Dr. Kuettel has over 6 years of clinical experience with focus on neurorehabilitation in adults as well as mentorship of physical therapy graduate students, neurologic residency program participants and coordination of neurologic residency programs. Dr. Kuettel received her bachelor’s degree from the University of Arizona (2006), her doctorate in physical therapy from A.T. Still University School of Health Sciences (2010) and completed a neurologic residency program at Scottsdale Healthcare/NAU (2012). She is a member of the American Physical Therapy Association (APTA), and actively serves on the APTA House of Delegates. Her research interests are within neurologic assessment using standardized outcome measures, rehabilitation techniques in adults with neurologic disease and injury and student perceptions of older adults. She joined ATSU’s physical therapy faculty in 2016. Dr. Wilkinson is the director of clinical education (DCE) and an associate professor in the physical therapy program. She is board-certified in pediatrics by the American Board of Physical Therapy Specialties and has several years of experience in a variety of pediatric settings. Her primary focus as DCE is development of clinical sites, clinical instructors, and center coordinators of clinical education. Dr. Wilkinson received her professional education from A.T. Still University School of Health Sciences in 1999, completed her transitional doctor of physical therapy degree in 2004, and a PhD in physical therapy from Nova Southeastern in 2015. She joined the ATSU faculty in 2007. Her research interests are within clinical education, pediatric assessment and treatment, evidence-based practice, and community-based student learning experiences. Dr. Wilkinson’s teaching areas are pediatrics and psychosocial aspects of disability. Dr. Bordenave, PT, DPT, PhD, is the director of the doctor of physical therapy program and an associate professor. She received her bachelor’s degree in physical therapy from St. Louis University (1985), a master’s degree in education from Arizona State University (2000), and her DPT from A.T. Still University, Arizona School of Health Sciences (2007). In 2016, she completed her PhD at Nova Southeastern University in physical therapy. Dr. Bordenave joined the physical therapy faculty in 1996. Her research interests include qualitative research exploring teaching and learning, professional development, and the impact of interventions. Additionally, she is engaged in research exploring women’s health issues and evidence-based practice. She teaches a course in educational theory and practice within the physical therapy program and continues to teach both the American Physical Therapy Association’s level 1 and level 2 clinical instructor credentialing courses. Unrestricted license in physical therapy in the state in which the resident will practice physical therapy during the residency. 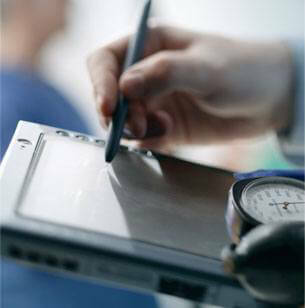 Employment in an approved clinical site with an approved clinical mentor. Submission of application to the American Physical Therapy Association (APTA) residency centralized application system (RF-PTCAS). Submission of secondary application to the Residency Program. Resident must be employed in an approved physical therapy clinical setting with a wide variety of patients with neurologic conditions. Resident must have an approved clinical mentor provide a minimum of 3 hours of one-on-one mentoring of patient care per week. Submit primary application through RF-PTCAS at https://rfptcas.liaisoncas.com. The deadline to apply through RF-PTCAS is August 1 of the year of anticipated enrollment. Tuition: $8,000 for the twelve-month (2017-18) residency program. Tuition can be paid in four installment payments with the first payment including a one-time fee of $50. Note: tuition does not include the cost of books or other supplies. The didactic curriculum includes six online courses delivered over two semesters and the final course includes the resident’s capstone project. In addition, three to four continuing education courses are conducted and augment the online coursework. The didactic component of the residency curriculum is centered on the ABPTS Description of Specialty Practice in Neurology and the best evidence available in the practice of neurologic physical therapy. Elements that contribute to a conceptual framework for assessment and treatment of individuals with neurological conditions are presented. The conceptual framework for clinical practice that will be utilized throughout the curriculum derives strongly from the integration of a task-oriented approach to examination and intervention with the model of the International Classification of Functioning, Disability, and Health. The course includes a review of motor control and motor learning theories including the relevant neuroanatomy and physiology. The process of evidence-based practice is emphasized, including an overview of research design and statistics. This course provides an in-depth review of impairments and activity limitations resulting from neurologic pathology including methods of classifying impairments, discussion of impairments of cognitive, sensory and perceptual, and action systems, including the musculoskeletal and neuromuscular systems. Current evidence of problems underlying abnormal postural control and types of postural control problems associated with different neurologic conditions is presented. 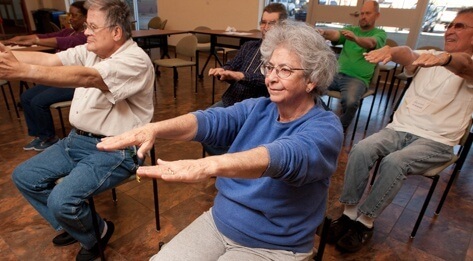 Evidence-based tests and measures used for examination of neurologic impairments and activity limitations are presented and practiced. This course also includes a task-oriented approach to examination of a mobility disorder with an application of gait examination to a current patient. Clinical management of individuals with neurologic conditions including stroke, traumatic brain injury, and spinal cord injury. Current evidence-based approaches to examination and intervention for management of impairments and activity limitations associated with these conditions are presented. Epidemiology, pathology, diagnostic testing, and pertinent medical and surgical management, including pharmacologic management, of these diagnoses are included. A strong emphasis will be placed on applying new knowledge to direct patient care in the clinic. Clinical management of individuals with neurological conditions including Parkinson’s disease, multiple sclerosis, and central nervous system neoplasms. Current evidence-based approaches to examination and intervention for management of impairments and activity limitations associated with these conditions are presented. Epidemiology, pathology, diagnostic testing, and pertinent medical and surgical management, including pharmacologic management, of these diagnoses are included. A strong emphasis will be placed on applying new knowledge to direct patient care in the clinic. Psychological factors and psychological disorders related to illness and recovery from neurological conditions are included. Clinical management of individuals with neurological conditions including lower motor neuron pathology, amyotrophic lateral sclerosis, central nervous system infections, and vestibular disorders. Current evidence-based approaches to examination and intervention for management of impairments and activity limitations associated with these conditions are presented. Epidemiology, pathology, diagnostic testing, and pertinent medical and surgical management, including pharmacologic management, of these diagnoses are included. A strong emphasis will be placed on applying new theoretic knowledge to direct patient care in the clinic. This course includes discussion of motor development and developmental abnormalities of the nervous system. The resident applies the principles of evidence-based practice to a real patient case. The resident is expected to submit a written case study, including an abstract submission for presentation at a combined sections meeting, detailing this application at the completion of the course.